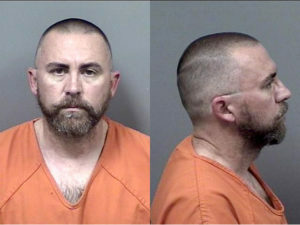 The Citrus County Sheriff’s Office (CCSO) arrested 41-year-old Kenneth Slanker of Inverness, after an initial investigation revealed that he sexually battered a juvenile victim, the CCSO said. Slanker employed grooming and intimidation techniques to target his victim in this case. He knew based on his manipulation of the victim, the chances of her disclosing the abuse was low. the Sheriff’s Office said. Slanker was arrested and charged with Sexual Battery Victim under 12, Lewd and Lascivious Battery and Lewd and Lascivious Molestation. A $250,000 bond was set by Judge Thompson at first appearance.